Jeanine is a compelling speaker who tells her story with compassion and candor. Her school visits typically focus on her memoir, A Rip in Heaven, and her experiences as a sixteen-year-old enduring the brutal aftermath of a murder that shattered her family. She covers topics such as trauma, activism, empathy, and media literacy. Teenagers who meet Ms. Cummins will gain a deeper awareness of the irreversible, sometimes lifelong, consequences of their decisions. Jeanine's primary academic audience includes criminal justice and victimology students, but she is also available to teach elements of fiction and memoir writing, as well as the fundamentals of publishing. As a part-time writing professor in New York, Jeanine is effective and engaging in the classroom. Jeanine, with students from Parkway South High School, on the Old Chain of Rocks Bridge in St. Louis, Missouri. After reading A Rip in Heaven, these kids petitioned and convinced the bridge's owners to install a memorial for Jeanine's cousins, Julie and Robin Kerry. 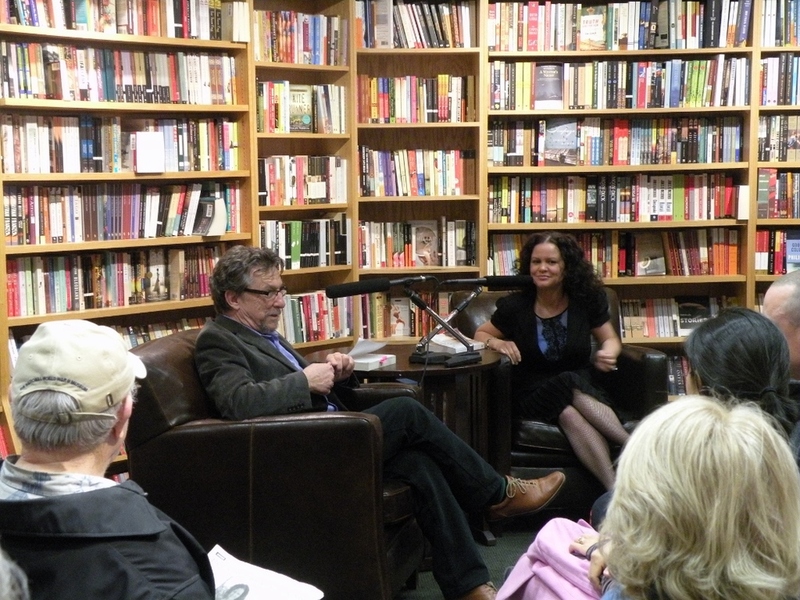 Jeanine with NPR personality Marc Steiner, discussing The Crooked Branch at The Ivy Bookstore in Baltimore, Maryland. Jeanine is a book club favorite! Her books include bound-in discussion guides, which are also available for download at www.penguin.com. She is available for chat via phone or Skype, or, if you're in the New York area, invite her for a visit through Book the Writer. In Rockville, Maryland, Jeanine talked to first responders (firefighters and paramedics) about how to interact with victims; In Wooster, Ohio, she met with a group of convicted felons, to discuss concepts like forgiveness and redemption. These unconventional experiences are sometimes the most rewarding. Jeanine is also available for keynote speeches, commencement addresses, and literary festivals and events. Tara Conklin, bestselling author of The House Girl, and Jeanine in conversation at The Gaithersburg Book Festival in 2013.